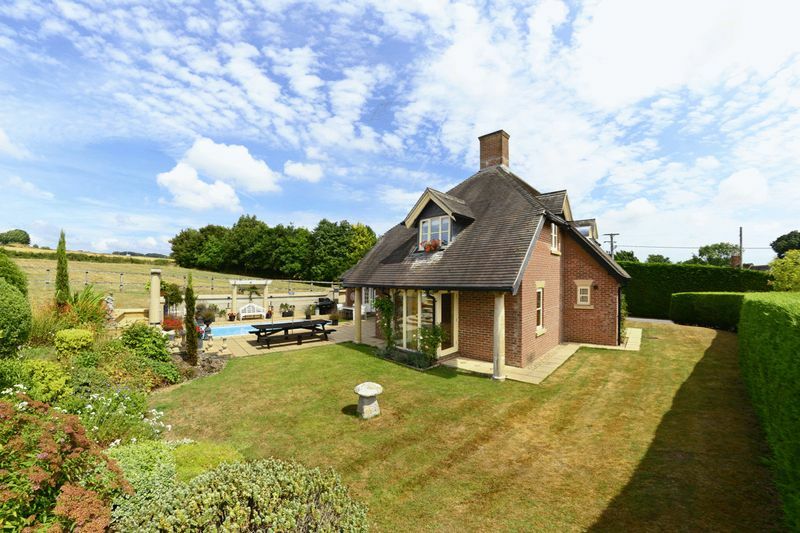 This delightful five bedroom detached property built less than 15 years ago by the currently owners and therefore has been built to a unique design. 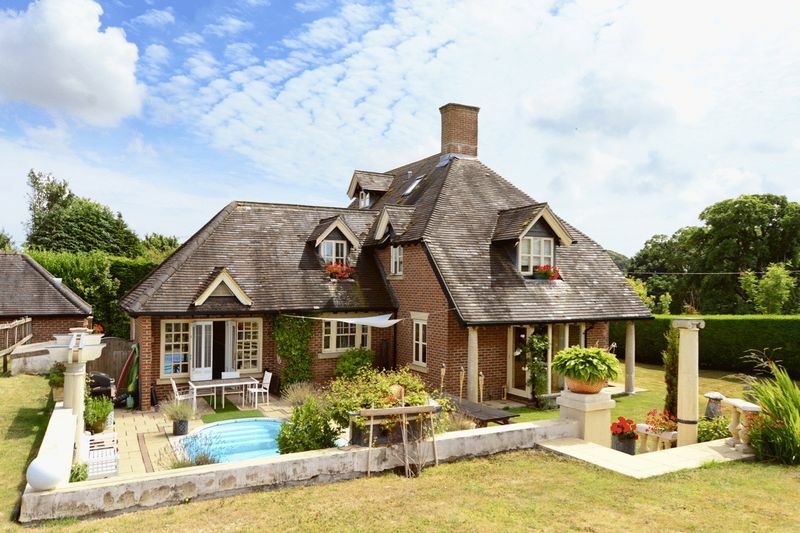 The property is located down a quiet private lane and has stunning countryside views. 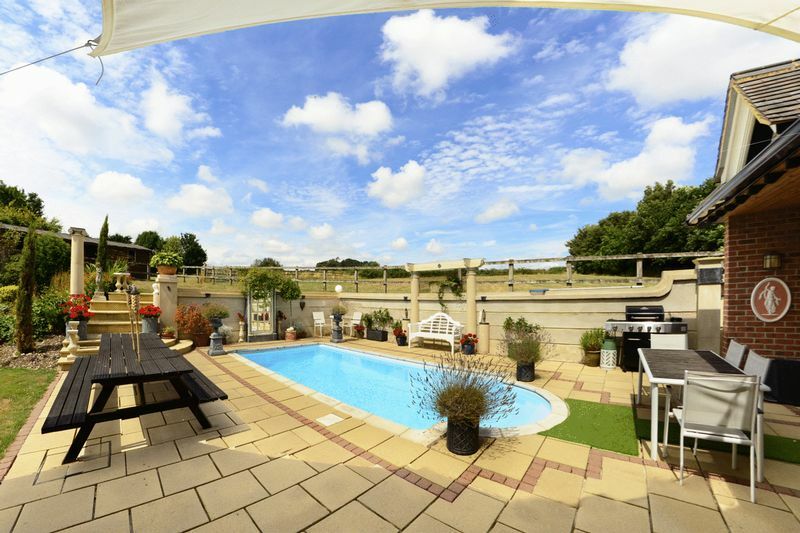 The property has underfloor heating to the ground floor, good size reception rooms, a generous kitchen/diner, master bedroom with ensuite, off road parking for many vehicles, paddock with two acres of land and a swimming pool. 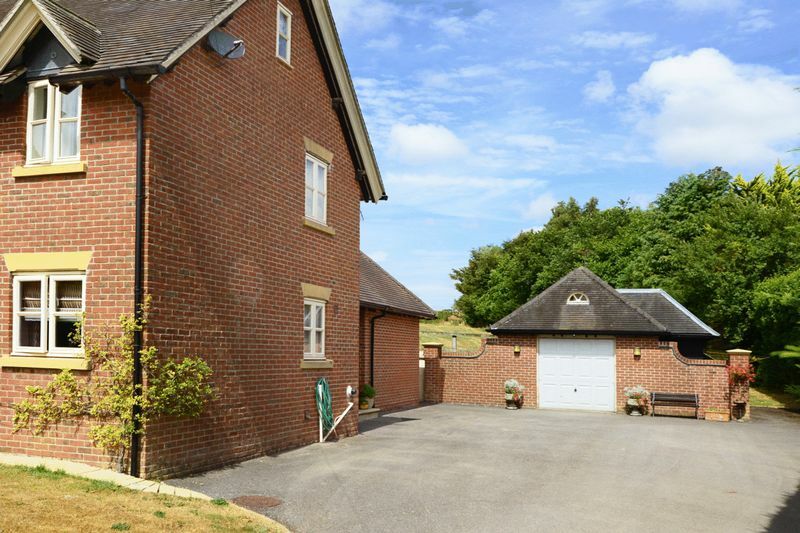 This property is a perfect country family home or holiday retreat house with direct access to bridleways. 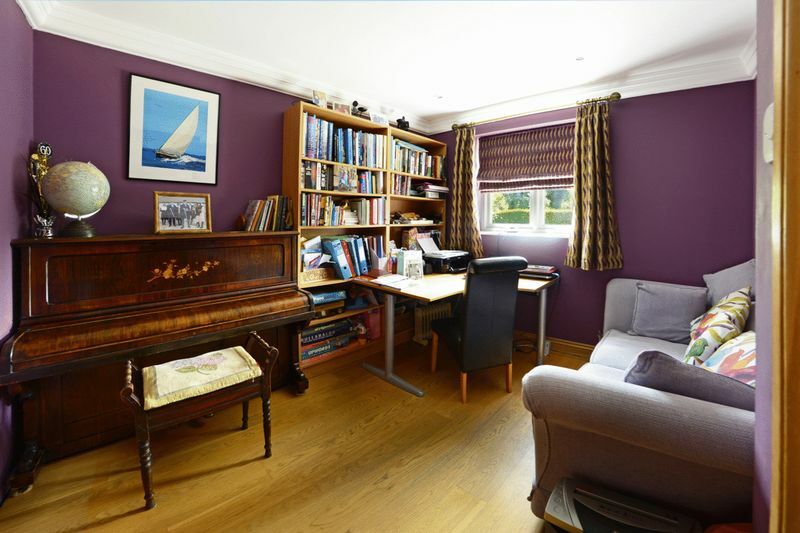 The entrance hall has oak flooring, an under stairs cupboard with stairs to first floor, door to downstairs WC and matching coving complimenting the oak skirting. 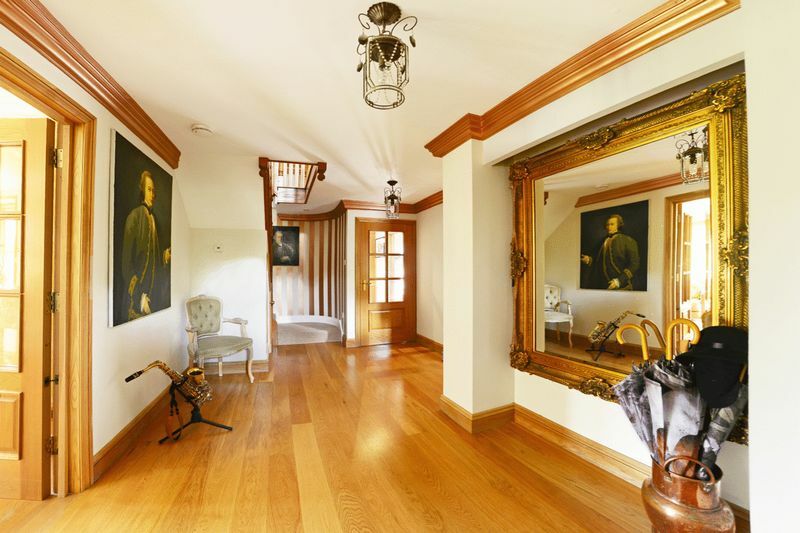 Doors from the entrance hall lead to the following rooms: the sitting room is accessed via oak double doors, with a continuation of the oak flooring with a front, side and rear aspect window allowing plenty of light into the room. 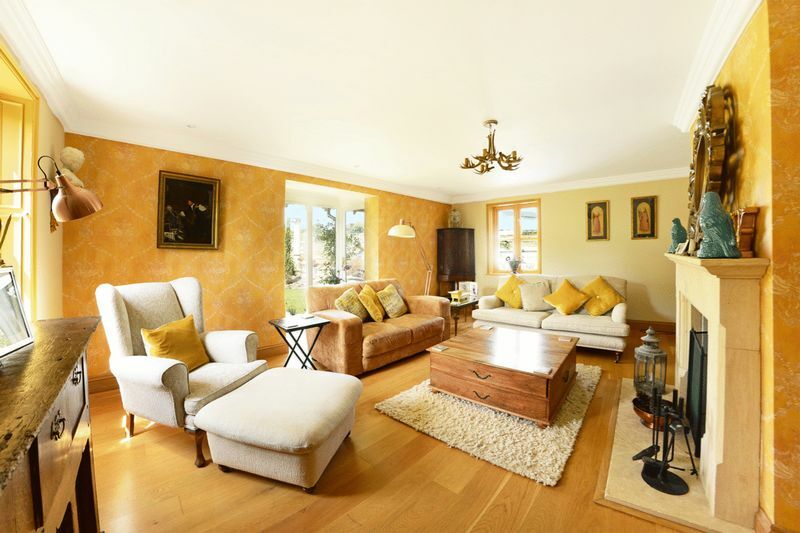 The feature in the room is the open fireplace with carved stone mantlepiece and stone hearth. 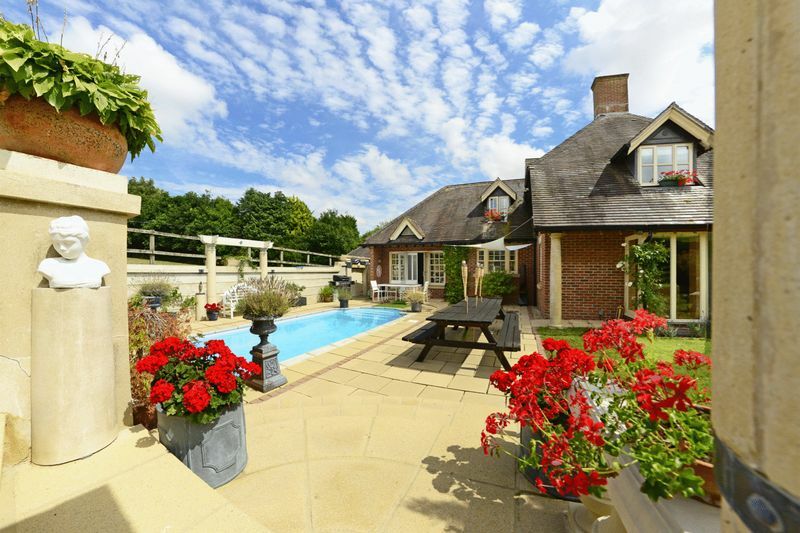 The garden can also be accessed via the sitting room. 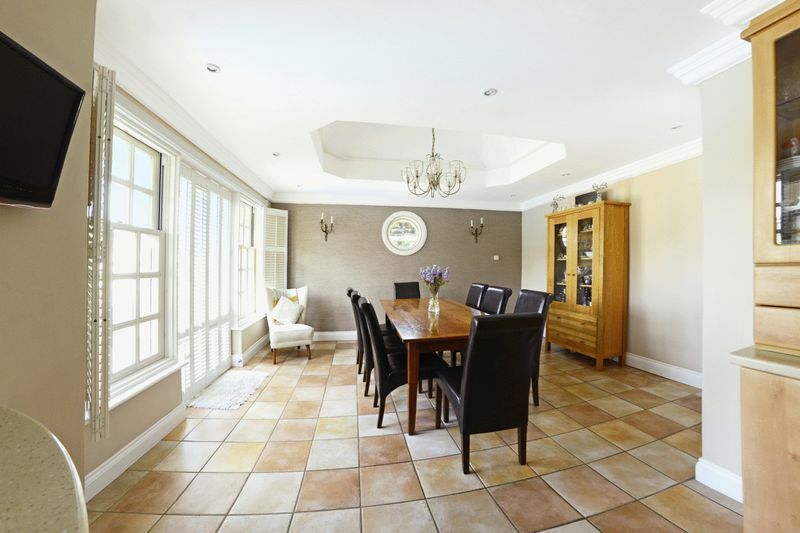 The kitchen/dining room is of a generous size and a great room to accommodate get togethers with friends and family. 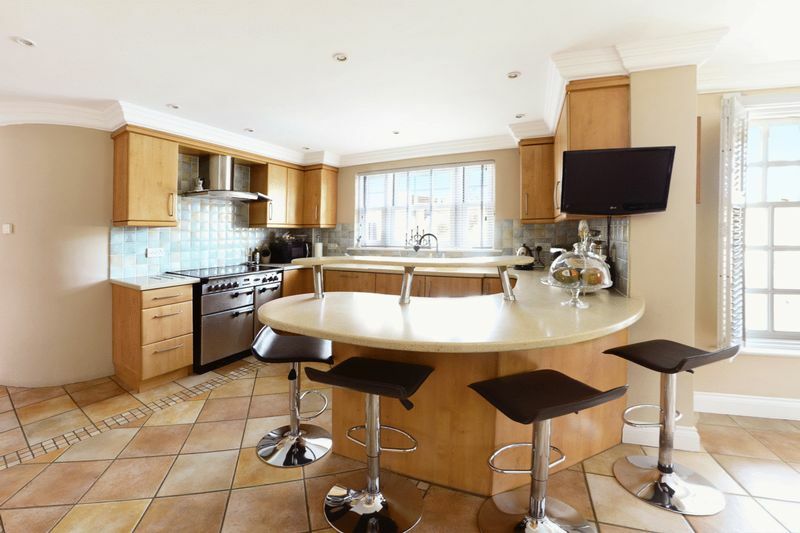 The kitchen has both wall and base units, corian worktops, a feature curved breakfast bar, stainless steel sink with mixer tap over, with a side aspect window facing over the patio area and swimming pool. There is space for a double oven with a fitted extractor fan over. The dining area can accommodate a large table and has double doors leading out onto the patio area from the dining room. A further door leads to the utility room, which has a stainless steel sink with mixer tap over and plumbing for a washing machine, space for a tumble dryer, as well as an area to hang coats and place shoes. The door from the utility room leads out to the side of the property, to access cars and the garage.nThe first floor landing has access to the following rooms: The master bedroom is a generous double room which has both a front and side aspect window, also a continuation of the feature curved wall and built in storage. 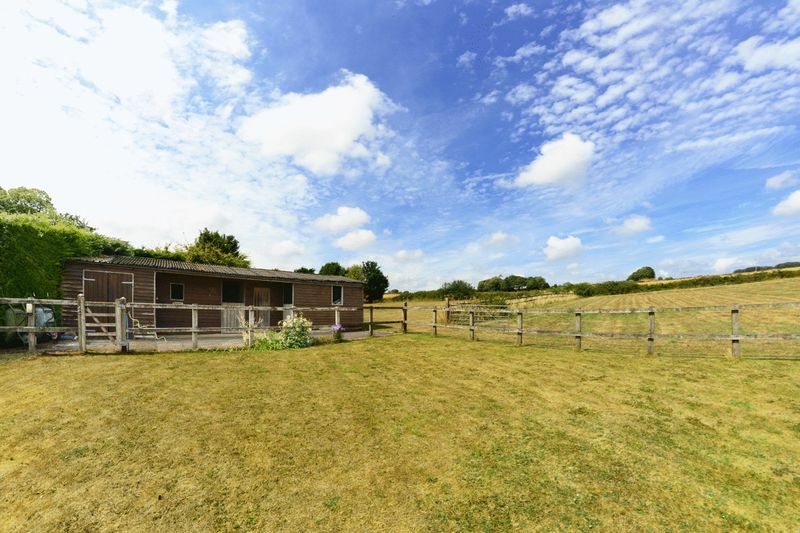 A door leads to the en suite which consists of a low level WC, bath, walk-in shower, and a wash basin with mixer tap over, as well as a rear aspect privacy window.nBedroom two has a front aspect window and is again a generous double. Bedroom three has a side aspect window with built in storage and is also a double room. 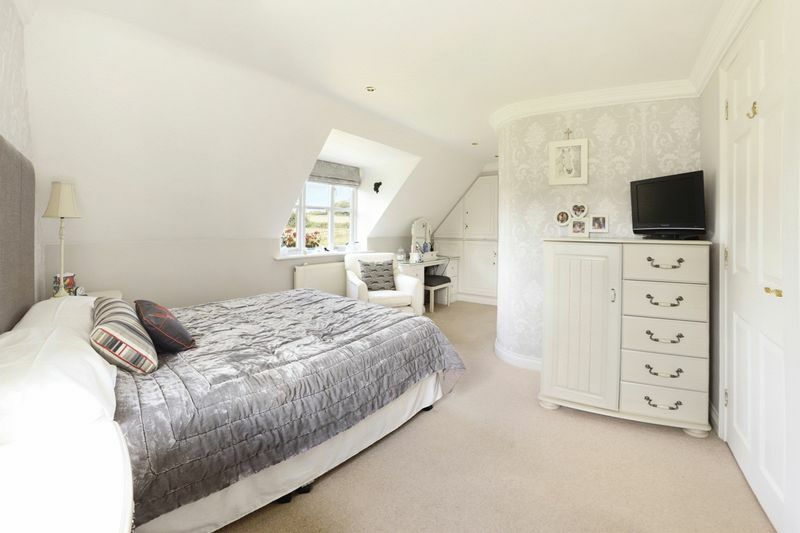 Bedroom four has a built in wardrobe and again can accommodate a double or king sized bed. 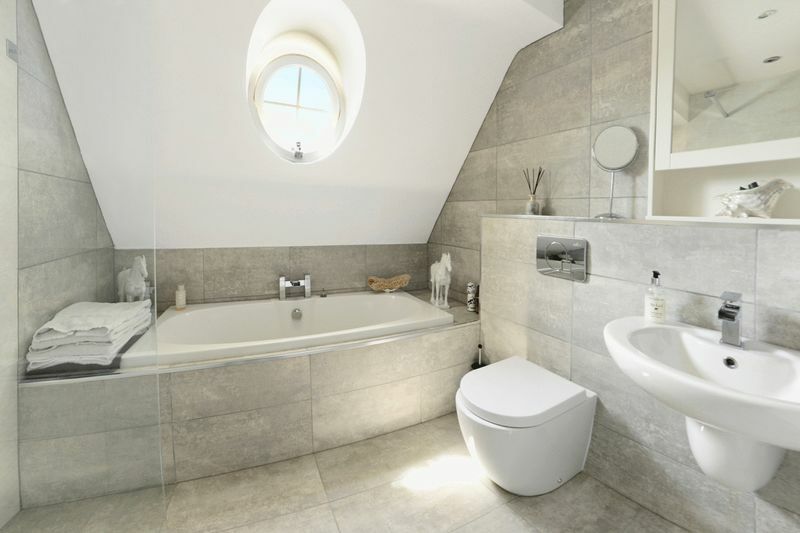 The main bathroom is off of the landing and consists of a large bath, walk-in shower, low level WC and mixer wash basin with mixer tap over, all finished to a very high standardnFurther stairs leading to the second floor landing with access to the following rooms: Bedroom five is a further double and has some built in eaves storage and dual aspect side and rear window. The shower room has a low level WC, wash basin with mixer tap over and walk in shower. 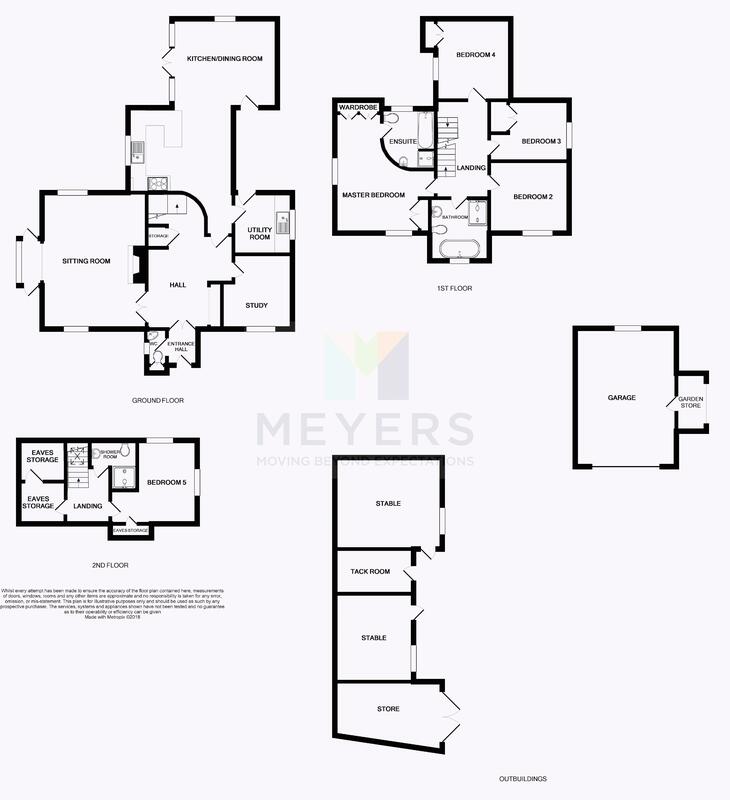 A further door from the second floor landing leads to two rooms which are great for additional storage. 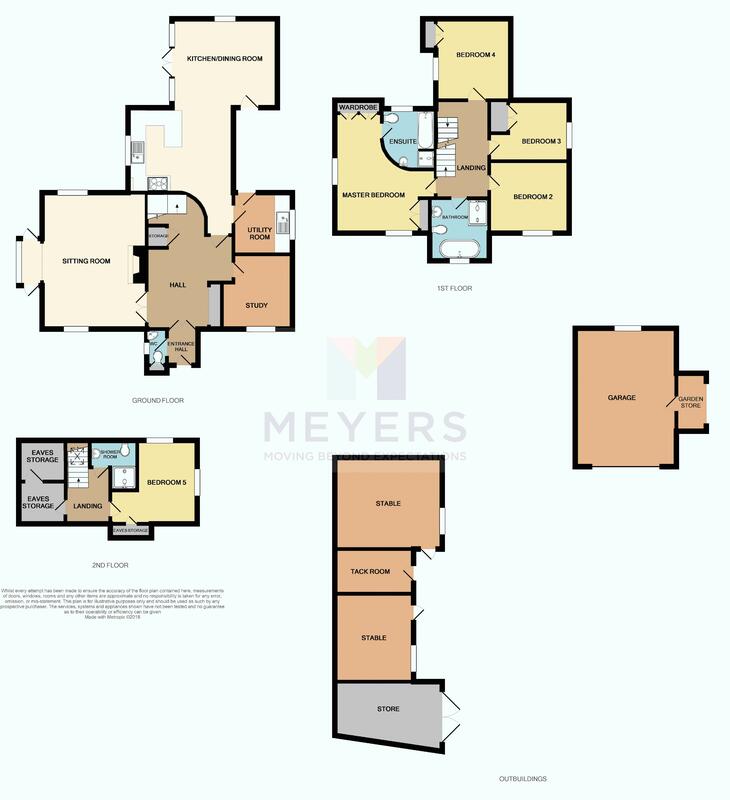 Sitting Room - 17' 9" x 13' 7"nStudy - 9' 8" x 9' 2"nUtility Room - 8' 8" x 7' 7"nKitchen/Dining Room - 28' 4" x 19' 6"nMaster Bedroom - 15' 7" x 13' 2"nEnsuite - 7' 10" x 7' 1"nBathroom - 8' 2" x 7' 8"nBedroom 2 - 10' 5" x 9' 4"nBedroom 3 - 10' 5" x 8' 0"nBedroom 4 - 10' 7" x 9' 8"nBedroom 5 - 11' 4" x 10' 9"nShower Room - 6' 5" x 6' 2"nGarage - 18' 2" x 13' 3"nGarden Store - 7' 6" x 3' 9"nStable - 14' 1" x 12' 0"nTack Room - 10' 3" x 5' 9"nStable - 11' 5" x 10' 3"nStore - 10' 5" x 9' 1"